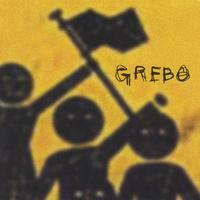 Grebo formed in September 1999, when Ben (Guitar, vocals), Joe 90 (Bass) and Blake (Drums) met up on their first day of college. After playing shows in and around Bristol for a year, the guys headed into the Whitehouse Studio to record. After building up a loyal local fanbase, and a reputation as one of Bristol, England's most high-energy live acts, the band played their first tour off the back of the EP, supporting Californian Pop Punks "The Ataris" in May 2001. With support slots including The Ataris, Midtown, King Prawn, Nerf Herder, Leatherface, Fabulous Disaster and Leftover Crack under their belts, the band will be doing a headline tour of the UK this summer. Or - you can go here http://cdbaby.com/cd/grebo to hear the songs!